Beautiful mountain property in the popular Ponderosa area south and east of Chama, NM. Priced to sell...sellers will consider owner financing. 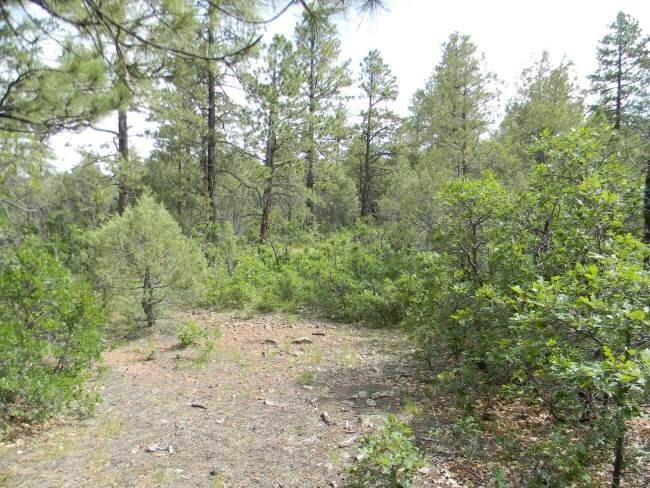 This 2.5 acre lot is covered with mature trees including ponderosa pine, juniper, and gambrel oak. This is an area where the elk and mule deer do live and play. The lot enjoys easy access. There are several possible building sites for a future home or cabin. There are big views from the property of the surrounding mountains and valleys. Located just minutes from Chama for shopping and other services. Enjoy hiking and all sorts of winter and summer activities in this area. There are rivers, lakes and streams for fishing and boating and Chama is the home of the Cumbres & Toltec Scenic Railroad. Come on up to the cool green mountains of northern New Mexico. This is a wonderful possibility for you to consider. The data relating to real estate for sale in this web site comes in part from the Internet Data exchange ("IDX") program of Santa Fe Association of REALTORS&reg;. Real estate listings held by brokers other than Keller Williams Santa Fe are marked with the IDX Logo. All the data in this web site is deemed reliable but is not guaranteed. All information deemed reliable but not guaranteed and should be independently verified. All properties are subject to prior sale, change or withdrawal. Neither listing broker(s) nor Keller Williams Santa Fe shall be responsible for any typographical errors, misinformation, misprints and shall be held totally harmless.